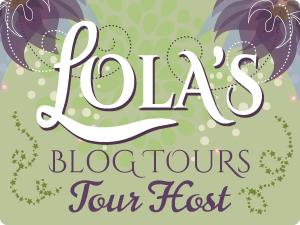 Fabulous and Brunette: Run to Her by Lynn Kellan - Book Tour - Book Sale - Guest Post - Giveaway - Enter Daily! 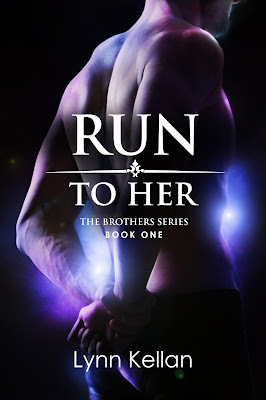 Run to Her by Lynn Kellan - Book Tour - Book Sale - Guest Post - Giveaway - Enter Daily! Hi lovelies! It gives me great pleasure today to host Lynn Kellan and her new book, “Run to Her”! For other stops on her Goddess Fish Promotions Book Tour, please click on the banner above or any of the images in this post. Be sure to make it to the end of this post to enter to win a $50 Amazon or Barnes and Noble Gift Card! Also, come back daily to interact with Lynn and to increase your chances of winning! This book is on sale during the book tour for ONLY $2.99!!! See below for more details. The metallic clank of a spoon against the edge of a bowl echoed into the restaurant, followed by a deep bark of laughter. A man walked out, carrying a heaping plate of fries that would clog the arteries of a lesser mortal. Leigh’s stomach growled, willing to clog a few arteries for those fries…and that man. He was tall, built like an Olympian, and looked like—whoa, hold the phone. He looked like Gabriel Antonov, which couldn’t be possible. Gabe lived in Philadelphia, a few miles away from her apartment. There was no reason he’d be this far north of the city. He owned a busy auto repair shop that devoured most of his time. An Internet search for ‘brawny workaholics’ would put his name near the top of the results page. When she’d seen him a few mornings ago, he hadn’t mentioned that he might head into the mountains for the weekend—but he never chatted about his plans. He didn’t chat about anything. She took advantage of her semi-hidden position by the cash register to gobble him up with her gaze. Faded blue jeans clung to his long legs like water, rippling with every flex of his muscular thighs. A gray T-shirt hugged a burly torso that could have graced the home page of a fitness website. Thick black whiskers darkened his sturdy jaw, which made him look ferocious in a hold-on-to-your-ovaries kind of way. His square-jawed, Slavic features made him look like he was made of concrete and steel. Immovable. Not going away, even though Leigh had turned him down every time he’d asked for a date. Part of her wanted to hug him for not giving up. The other part wanted to sprint out the door, because she knew he carried a heavy secret. She had one, too. The weight of that burden had driven her into a psychologist’s office two months ago, where she’d bumped into Gabe. Literally. She’d collided face-first into his hard, broad chest. He’d taken one look at her, turned as gray as dishwater, and left. “Dinner with you.” He plucked a menu off the counter. What scares me the most about writing is…me. I can wreck everything. If my attitude tanks, so do my books. I can quit. I can give into the jealousy every artist feels when someone’s work does well while your project festers in obscurity. I can allow myself to be distracted by so many of the interesting things on the Internet rather than write. I can begin to lose hope, feel discouraged, tell myself that writing a book is pointless. In that respect, being an author isn’t much different from anything else. We’re all our worst enemies. We can stomp on our dreams. We can tell ourselves that we never should’ve become a teacher or a nurse or a banker because the job isn’t worth the hassle. We can believe that we don’t really make a difference…but that’s a lie. Attitudes can change with one breath, one thought, one kind word. We might be stuck in the jury pool room for hours, we might be trapped in a long line at the post office for what feels like forever, we might be with colleagues who will never pull their own weight at the office…and the only thing we can control is our reaction. Kindness, fortitude, and optimism don’t cost a thing. Perhaps that’s why those commodities are so easy to toss aside. Why be kind to a stranger that you’ll never see again? Why strive to reach a goal that may not ever gain you any praise? Why believe this day contains great possibilities? Because if we don’t, these things won’t happen. We might miss the chance to meet the entertaining man sitting right beside us in the jury pool; he might be the one who turns the long wait into a pleasant afternoon. We might actually write a book that becomes a USA Today bestseller. We might turn the present moment into something magical. Attitude doesn’t cost a thing, but it’s priceless. Unfortunately, attitude is also an easy thing to ignore. So, my greatest fear as a writer is whether my attitude will buoy me. That’s why I have a large collection of attitude bolsters. They include hugs, foot rubs, dark chocolate, cross-stitch, and upbeat friends. Lynn Kellan writes contemporary romance about strong men who have a weakness for smart women. She believes men and women aren't that different, because everyone wants to be with someone who will empty the dishwasher. To prepare for her career as a romance author, she fell in love with bad boys, burly athletes, battle-hardened Marines…and married a chemist. Lynn has won numerous writing contests and served two terms as President of her local Romance Writers of America chapter, but she feels a true sense of accomplishment whenever she doesn't embarrass her teenaged kids. Lynn will be awarding a $50 Amazon or Barnes and Noble Gift Card to a randomly drawn winner via Rafflecopter during the tour. Hi Ally! Thanks for having me, today! And yes, you are fabulous and brunette - my favorite combination! I'll be stopping by throughout the day. I'm excited to check this one out, it sounds like a great book! The cover is super hot! Love it!